Low profile neck brace compatible roost deflector. The evolution lite is the only roost guard. Removable back plate allows rider to wear as chest plate only. of its type that is 100% neck support compatible and quickly adjustable to fit all body types. Gp-Pro Youth Moto-X Protector Jacket Short Sleeved M / L (Eic-6094-2) Youth Short-sleeved Jacket Protector. Size Youth M / L. Removable back protector with interlocked. Impact-absorbent foam padding. NECK BRACE PROTECTOR. UK MAINLAND. • Provides neck support for increased comfort and safety. ADULT SIZE. As used by professional racers. • Velcro rip-stop closure. TO most of. Youth Short-sleeved Jacket Protector. Size Youth XS / Small. 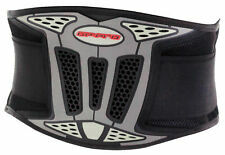 Removable back protector with interlocked. Protection and support for lower back and torso in this GP-Pro kidney belt. Ergonomic design and ventilated back chassis ensure good and comfortable fit. Fully adjustable belt with elasticated side adjusters. GP PRO BODY ARMOUR. 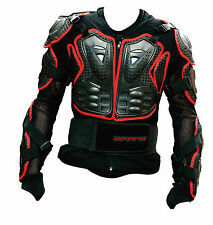 MOTOCROSS PROTECTION ARMOUR JACKET/FULL DEFLECTOR. CHEST PROTECTION, AND KIDNEY BELT. EXTRA COLLARBONE,SHOULDER AND ELBOW GUARDS. Next to new condition with no marks and only been worn a couple of times, 2x adjustable straps. SHOCK ABSORBENT PLASTIC ELBOW AND FOREARM PANELS.